Not too many years ago, before I found a job, I was involved with tracking down, calling, and interviewing veterans from various cultural fields who had contributed something substantive to Sri Lanka. I would summarise their lives and work and try to fit those into the (horrendously meagre) space of a 1,500 or 2,500 word article (which would sometimes be in two parts). It was a challenge I had to meet and a challenge I grew to like. So I went on, from filmmaker to actor to lyricist, until somewhere towards the end of 2016 I met Somaweera Senanayake. I had not read him, I had only read (into) his scripts of those many, many TV series I grew up watching and loving here, but with what I knew I did my best and put together a sketch for the papers. The day after it was published, another to be deceased artist, Premaranjith Tilakaratne (who passed away, after a failed surgery, in 2017) called me. 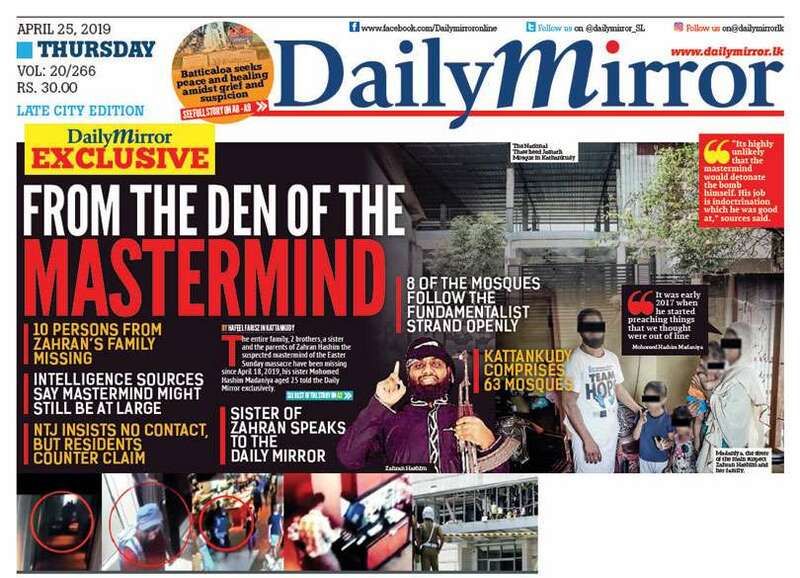 “Everything you’ve written is correct,” he informed me, “But you missed one point: that Somaweera Senanayake is the only scriptwriter of his stature we have who came from the village. He is of the village in ways that no one in his field has ever matched, before or after him.” I was confused, so I asked him about those others in his field. 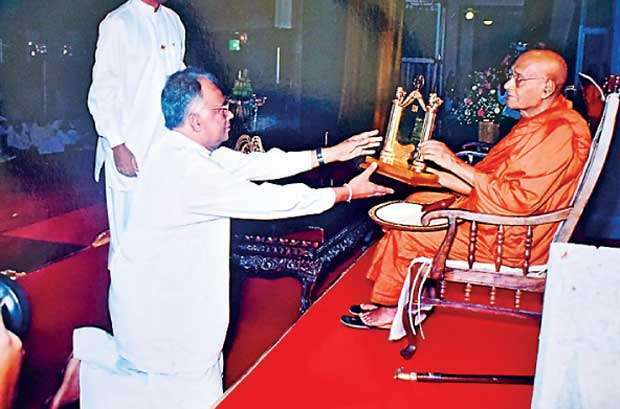 Premaranjith was adamant: “I came from Ratnapura, Tissa Abeysekara came from Maharagama, and Tony Ranasinghe from Modera. None of us could be called villagers. Yes, we hailed from a rural backdrop. But we were not of it. We belonged to a fairly middle-class setting, and what we wrote, even of the village, was conditioned by that specific setting. Somaweera faced no such problem. When he wrote of villagers, he went into their skins.” Perhaps the biggest irony is that he didn’t get into those skins as often as this description of him might have guaranteed, since the truth of the matter is that Senanayake, who passed away last Saturday, seemed to be more concerned with the same middle-class lives that Tilakaratne, Abeysekara and Ranasinghe had known of. 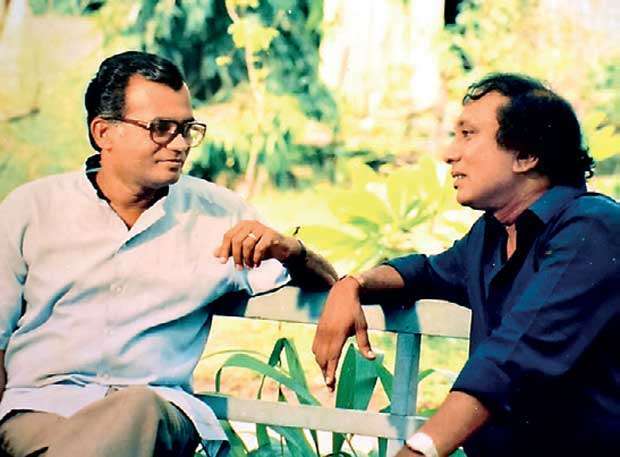 Somaweera Senanayake will be remembered more than anyone else as the man who scripted those television series and dramas which helped transform television in Sri Lanka into a family affair. In India, film theatres and halls were springing up by the dozen throughout the eighties, while in Sri Lanka, those theatres and halls were coming down with the entire industry. Television was never conceived of as an alternative to the cinema, but here, it almost was. As with popular movies, therefore, television serials, once they made inroads into our television screens, talked about the prejudices and the emotions of those who lived in a twilight world: between the city and the village. Somaweera had lived in both. He had resided more completely in the latter. The values he projected in those series he had a hand in shaping, or writing, therefore, were values which would define the entire medium for years to come. Part of the reason for this was the time in which all that happened. The eighties was a tumultuous decade for reasons which have already been examined by economists, historians, and writers. It was tumultuous because of the tragedies it entailed as well as the promises of prosperity it held back. Those promises were enough to cushion, if not embolden, a new middle-class, who while certainly not equipped enough to be masters of their fate the way the bourgeoisie were, nevertheless dreamt big and cashed in on lives governed by a bourgeois ethic. The free market mantra the eighties opened Sri Lanka to brought about an unlikely synthesis here: between an older generation which sent their offspring to the cities, to educate them and to find them jobs, and those offspring who repudiated the traditionalism of the elders to modernise themselves. It was this paradox which Somaweera revolved many of his stories around. They engendered botched dreams, false promises, and a forever unresolved rift between the face of the middle-class and its fragile, delicate reality. 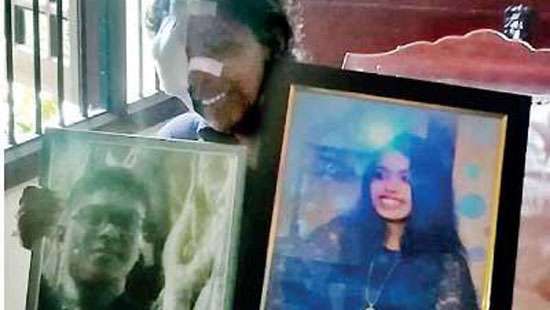 The heroes of Somaweera Senanayake’s world were those who acknowledged this rift and were not afraid of calling out something for what it was. The elder son from Asal Vesiyo, the elder son from Yashorawaya (adapted from Senanayake’s own novel, the first in Sri Lanka to be adopted as a university thesis), and Nilmini Thennakoon’s character from Doo Daruwo, to name just a few, are not idealists by any stretch of the imagination, but their strength lies in the fact that they are somehow able to tower over the dreams, the wishful thinking, and the fantasies of their elders. They were a voice of reason, back when reason had been evicted by avarice. Moreover, as with the movies of Lester James Peries, Somaweera’s scripts are preoccupied with the family, but unlike Lester’s films, it doesn’t always become a unifying factor; more often than not, those families are defined by a conflict between those who dream and those who do. In Asal Vasiyo, the comedy thus comes out not just from Ellen Silvester and her daughters, but also from their tenants: between the pomposity of the father (the perakadoruwa who constantly blurts “I know the law!”) and the younger son Pradeep (the mechanic who parades as an engineer) on the one hand, and the long suffering, but persistent and unyielding humanity of the elder son Jayamangala on the other. 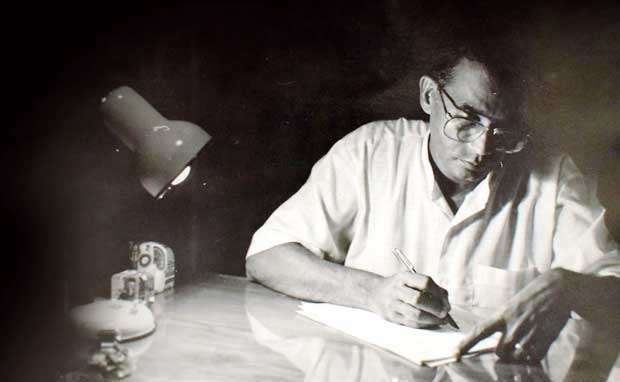 It was a critique of modern society he seems to have offered (though like Martin Wickramasinghe he couldn’t go beyond demarcating it as inevitable), and if it was, then the question arises: what would have been an ideal society for Somaweera? The middle-class teetered uncomfortably between one extreme and the other, courting both superstition and rationalism, both tradition and modernity, but without actually linking themselves to the one over the other. This rising petty bourgeoisie, who as I wrote before found solace in petty professions (teaching, repairs, journalism, what not) in the private sector (while their elders had worked as government bureaucrats), either continued to rise or went down with a bang. This could compel censure and empathy, drama and pathos; Somaweera, who turned it into both tragedy and comedy, thus envisioned an ideal society with the sons and daughters who stuck by the way of life their elders had once stuck by. In other words, he seems to have affirmed the past, and in doing so, he seems to have turned those sons and daughters into heroes. The obedient and the good, in his stories, became the strong and the quick-witted. But this also meant a turning away from the inevitability of modernity, a point which cropped up more and more uneasily with each passing teledrama in the eighties. It is hard, for instance, to watch Yashorawaya today and try to understand the writer’s attitude towards interracial marriage, and it is hard to comprehend why it would have been so difficult to marry into another community (Rathna Lalani Jayakody with a Tamil businessman, Gamini Hettiarachchi with a self-indulgent Burgher girl) back then. But the resultant clashes, the once buoyant hopes, the cruelly-dashed dreams here were as inevitable as they were hard to accord with. (Roughly the same argument can be made of the depiction of marriage between different social classes in Vasantha Obeyesekere’s Palagetiyo.) 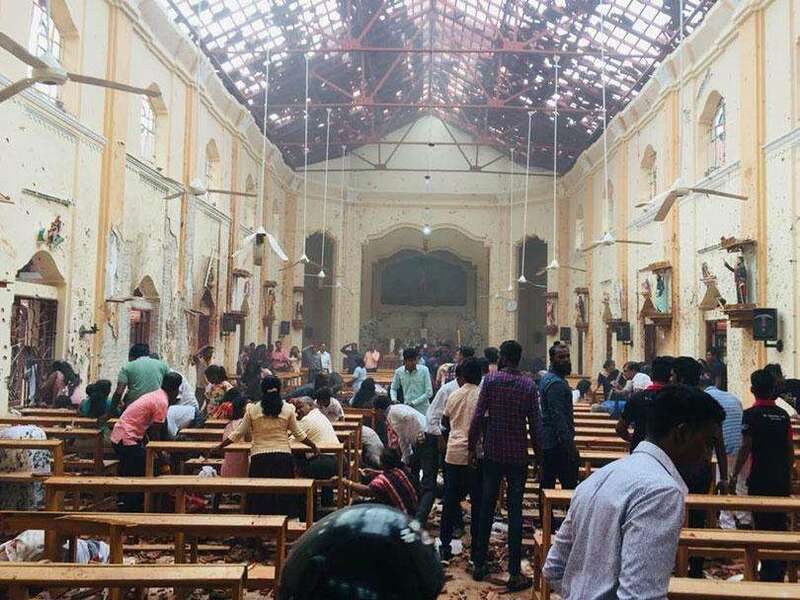 It was not a limited vision, it was an all too real vision, firmly-underscored by what middle-class Sri Lankans, particularly Sinhala Buddhists (the “Olcott Buddhists” or the “Protestant Buddhists,” as they are sometimes referred to today) felt. Somaweera’s solution may have been that we should all turn away (which wouldn’t have worked). Or perhaps that this middle-class was ill-suited for what had worked well for other demographics, including interracial marriage. Either way, it was an idealisation of a pre-middle-class, pre-urban society, though to consider that this is all that Senanayake could do would be understating his real achievement. With each passing generation, the past becomes another world. My parents probably know less about the ways of that past, and the lifestyles and the ethics which governed it, than their parents do, and their parents probably knew even less than their own. The past becomes something to be idealised, or thrown away. And once urbanisation becomes a way of life, people try throwing it away. Vasantha Obeyesekere depicted, brutally, the conflicts this exposed us to, in film after film. In a more humane, less savage way, Somaweera Senanayake did the same on television. The beauty of it was that his eyes were open to this clash, inevitable in a majestic, awful manner as it was, while his entire life had been conditioned and fermented in the village. Premaranjith Tilakaratne was right, I am inclined to say. He was of the village, he moved out of the village, and in character after character, he depicted the flaws of an entire generation which had moved out with him, but which was now refusing to look back as he was.